The Port of Veracuz lies in the Mexican city of the same name on Gulf of Mexico, just west of the Yucatan Peninsula. 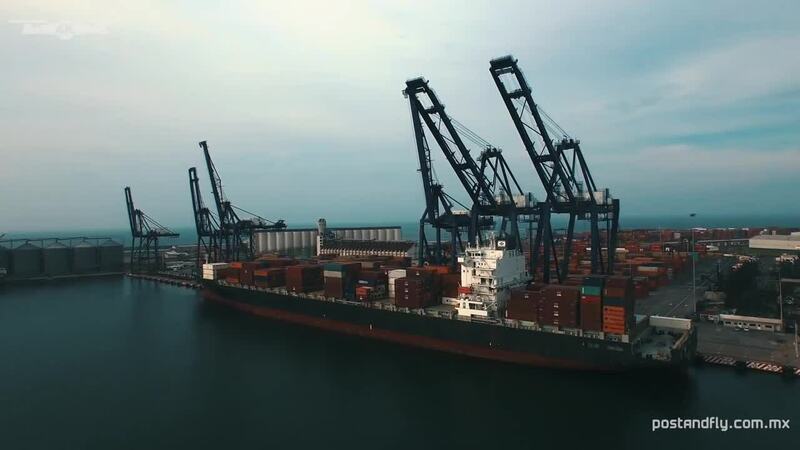 It's the third largest port in Mexico as well as the largest on the east side of the country. In 1914, the United States and Mexico fought a mini-war here, during the course of which USA forces fought for and then occupied the city for seven months. Award winning contributor Postandfly used a drone to create an amazing aerial view of this important historical seaport.